A mysterious red laser light flashing near the International Space Station (ISS) has triggered rumors of UFO sightings. However, the National Aeronautics and Space Administration (NASA) has pooh-poohed the conjectures. What sparked off the UFO sighting rumor mill was a YouTube video that showed a recording from the ISS’ live feeds. The video in question showed a mysterious looking red dot that was flashing in space. The laser-beam like red light looked like it was being fired in the Earth’s direction. Recorded on Friday, Dec. 5, at 9:20 am GMT, the footage led some enthusiasts to speculate that the red laser bean was a signal being sent by an extraterrestrial craft that was trying to communicate with Earthlings. Coincidentally, the footage has been recorded on the same day that a laser was fired into the sky by the European Southern Observatory’s Very Large Telescope. This was done to generate an artificial star in the sky. “Four lasers from the ground station travel through the sky toward the space station. Under clear, dark background conditions, it’s very easy for the payload to acquire the ground beacon. Daylight conditions have proven more challenging, but we are working on increasing capabilities during the day as well, through software enhancements,” revealed Abrahamson to Discovery News with regard to the mysterious red light near ISS. 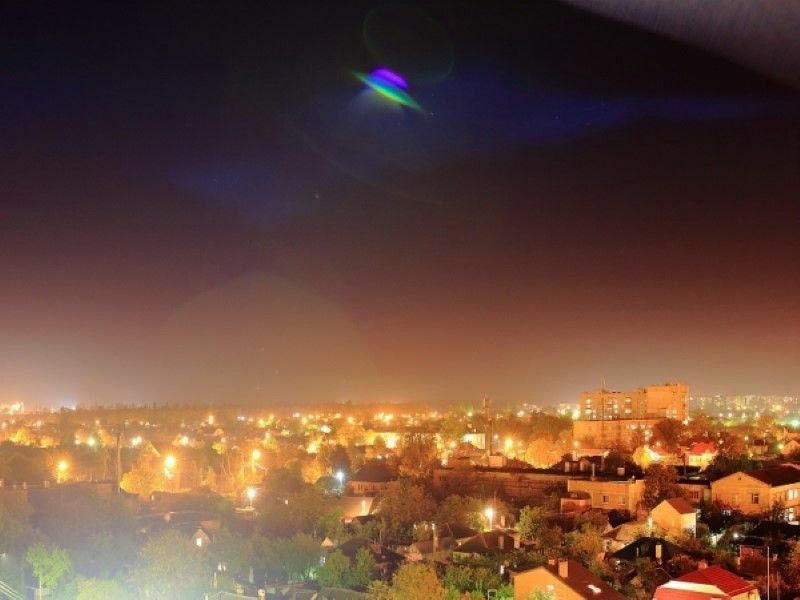 Despite these seemingly logical explanations, the UFO Sightings Daily blog is insistent that the mysterious light is a “UFO caught on space station live cam.” The blog asserts that the UFO is “glowing red” and was shooting a “beam of red light” towards earth. The blog further reinstates that this is the first instance of a beam of light being recorded near the ISS even though the same has been witnessed before. With NASA rejecting the claims of a UFO sighting, ET watchers and enthusiasts will have to contend with waiting for another sighting. Check out the video of the mysterious red laser beam near the ISS below.